If you are like me then you wait till the last minute to find a costume for Halloween. 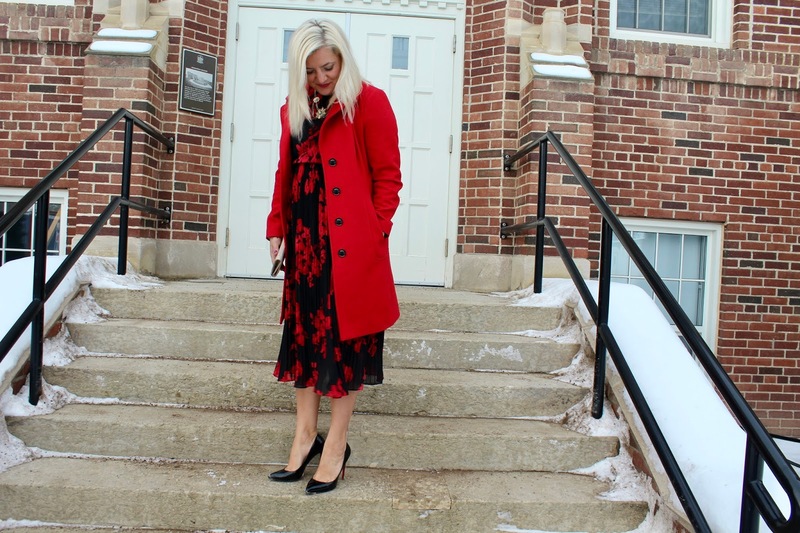 Maybe, you finally decided to attend the party you were invited to weeks ago or maybe you were roped into going to a party at the last minute either way you need a costume and fast. 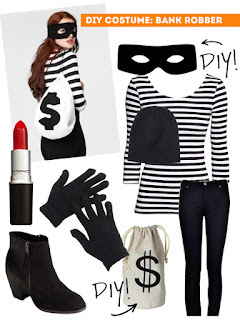 Here are some costume ideas that you can make from things that you already own. 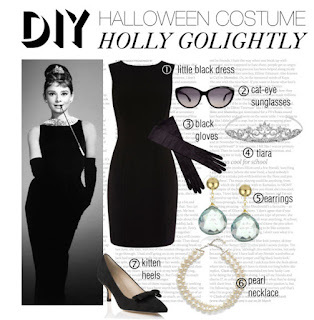 Audrey Hepburn- her most infamous role was in Breakfast at Tiffany's and the costume is a classic and easy to recreate. 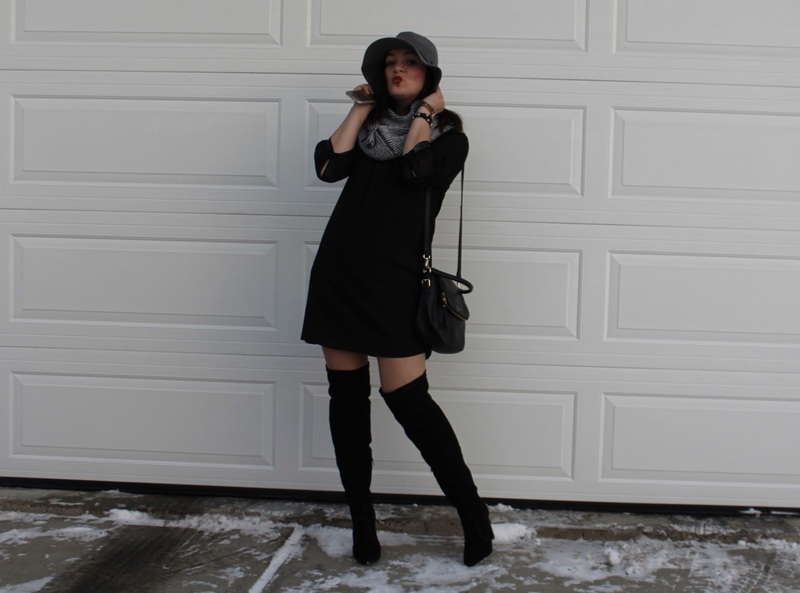 All you need is a little black dress, a white pearl necklace, put your hair in a bun, you need minimum make-up with a classic cat-eye, the optional accessories you can include are black gloves, a jewel hair piece, and a make shift cigarette holder. You can make the cigarette holder from a paint brush, or an eyeliner pencil. Cleopatra- This is also a classic Halloween look, I know many people go for this costume but the title didn't say unique. 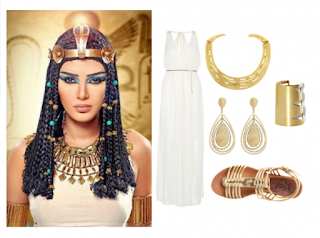 All you need for this look is a white dress it can be long or short i've seen both, a gold chunky necklace, really dramatic eye make-up, gladiator shoes or gold sandals, you can accessorize with gold necklaces and bracelets, use a gold necklace as a head piece. 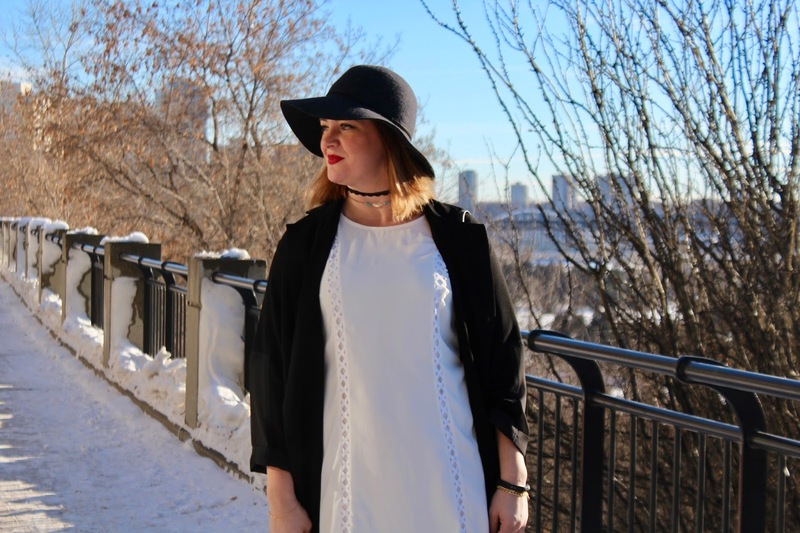 Optional things you can include are little pieces of colour whether in your hair or in the jewelry. I really like this costume especially the eye make-up so dramatic and you can really do a lot with it. 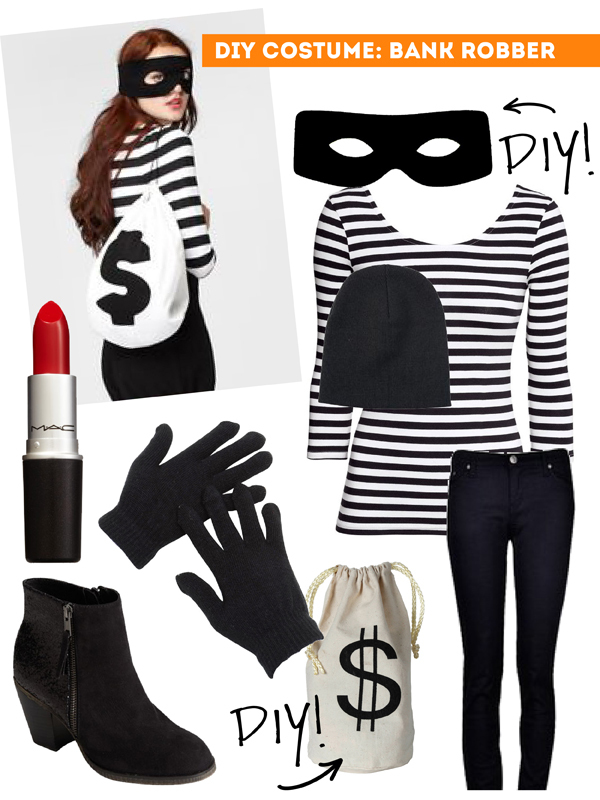 Bank Robber- This is an easy costume to create from items you already own, black and white strip shirt, black pants or jeans, black gloves (if you live in Canada you def have many pairs of gloves), black booties or shoes, you can make the money sac from a pillow case use black permanent marker to draw the dollar sign, you can also make the mask from an old pair of nylons or scrap black cloth you own or if you are crafty use black felt, you can also wear a toque (that's what we call winter hat's in Canada), finish the look off with some red lipstick because you still have to look fierce! 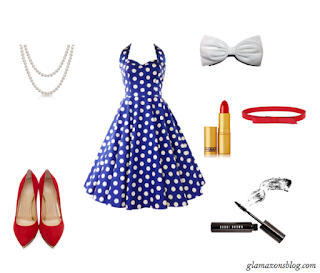 50s Girl Halloween Costume- Now you have two choices for this outfit, either the good girl or the rebel. 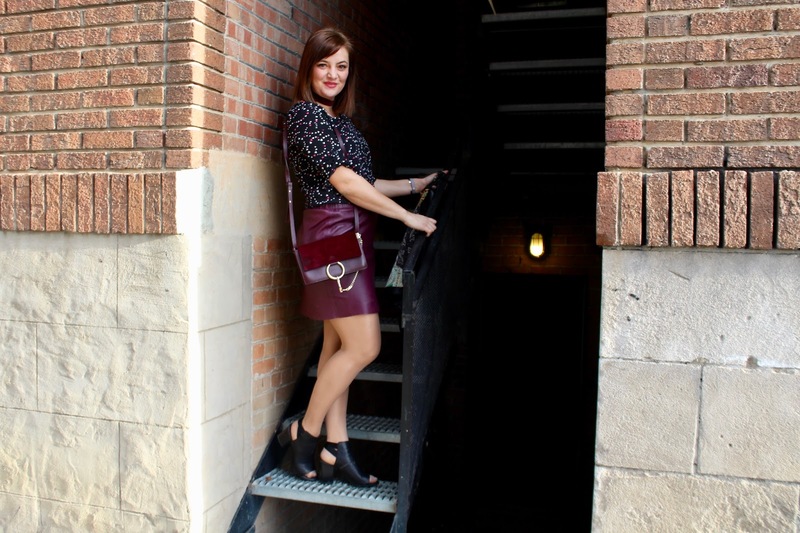 For the rebel look you can wear tight skinnies, a black shirt, leather jacket, red heels and red lipstick. For the good girl look you can wear a poodle skirt, an A-line dress either with polka dots or if you don't just the style is enough, a hair bow, red lipstick, white pearls, and red heels, a scarf. Both looks require 50s make-up they are relatively the same, except one requires a more dramatic cat-eye i'll let you decide which one. 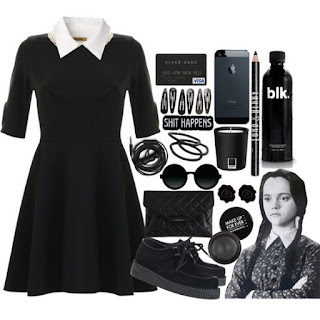 Wednesday Addams Costume- This is a classic goth look but at least it has a character attached to it, not just goth for no reason. I have to say the whole reason this costume appealed to me was the make-up looks you can do. There's different ways to achieve this look and you have creative license which is great. What are your easy go to Halloween Costumes? What are you dressing up as this year?